Hey friends! 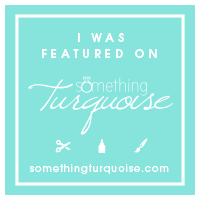 I'm pretty excited to share today's post with you! I recently joined a "Create with Cricut Challenge" put on by Amber of Amber Simmons and Katie of Clarks Condensed. 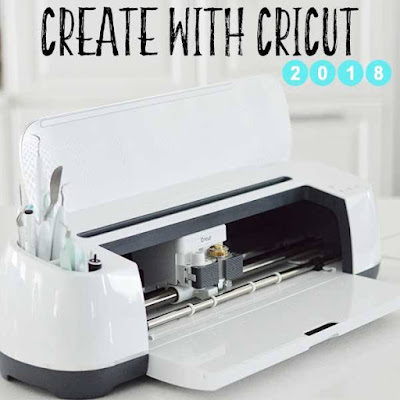 Each month they will be choosing a mystery material for us to create with using our Cricut, isn't that fun?? 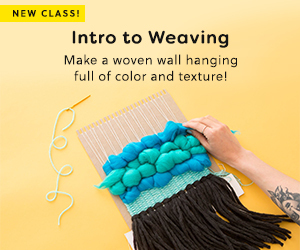 Sometimes I sit in my craft room trying to think of something new to try or create and this is the perfect way to do that! This month, the material is felt. 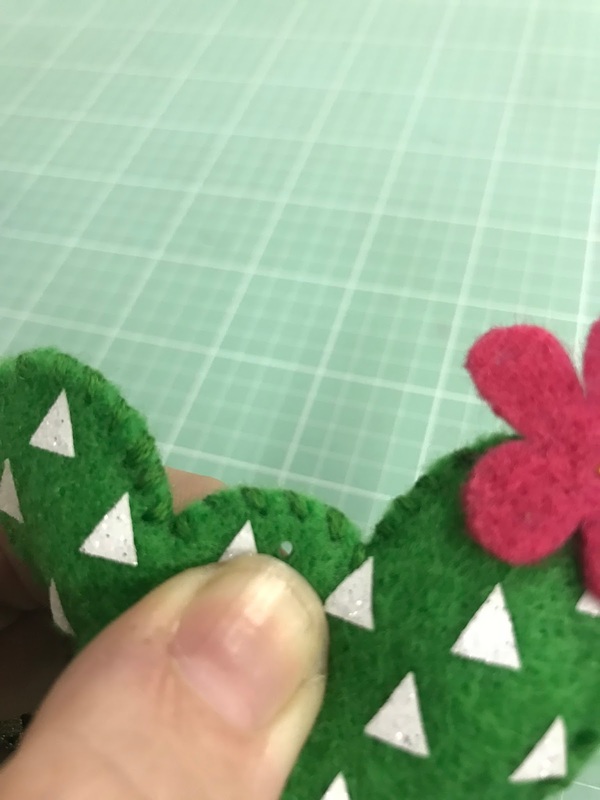 I'll be honest, I hadn't worked with felt too much in the past but, with the new Cricut Maker, cutting felt is a BREEZE. Check out these coasters I was able to make and these finger puppets, both using felt and my Cricut Maker! 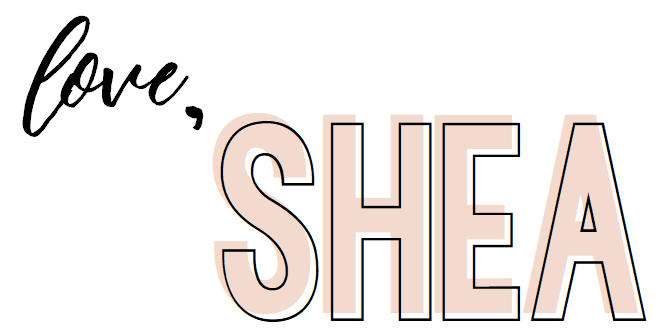 When I was trying to decide what I wanted to make for this months challenge... it was prerty simple. 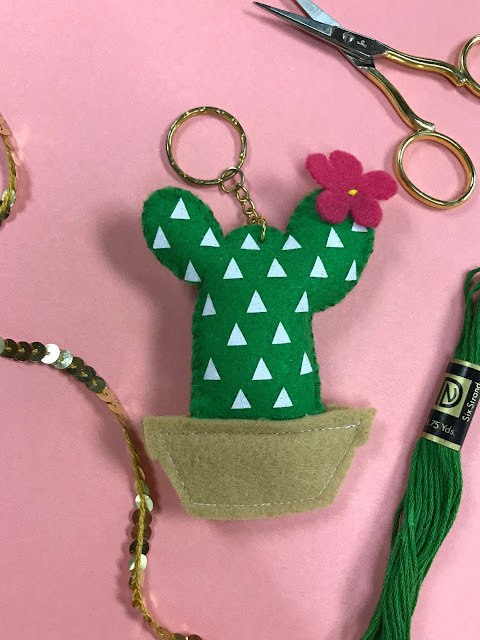 It's no secret that I love cacti. 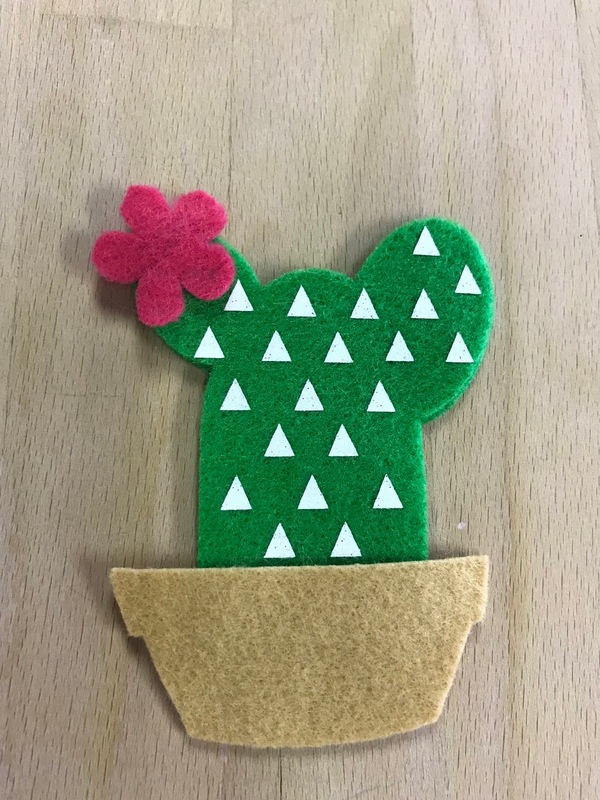 So I decided to create a fun cactus project for the felt challenge! 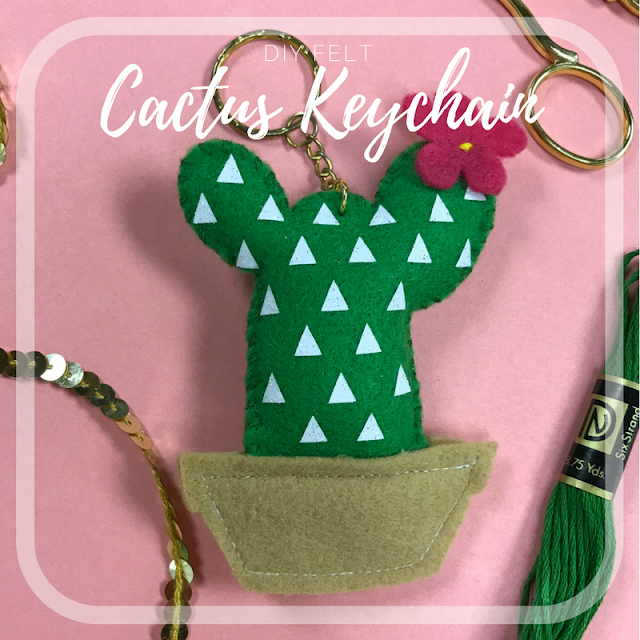 I don't know about you but I'm always loosing my keys at the bottom of my purse, so a big keychain isn't just fun... its NECESSARY! Haha. Making this quirky cactus keychain the perfect accessory! 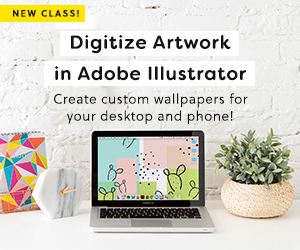 I created two separate styles for you to choose from (just hide whichever one you don't want to use). 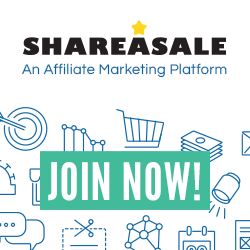 Find the link at the bottom of the post. Once all of your materials are cut, you can apply the iron on to the green pieces. I used my EasyPress and was done with each side in 20 seconds! It's such a timesaver! Once the iron on is on, I played around with the flower placement until I liked where it was. I hand stitched the flower on, using some yellow embroidery floss to give it some extra detail. 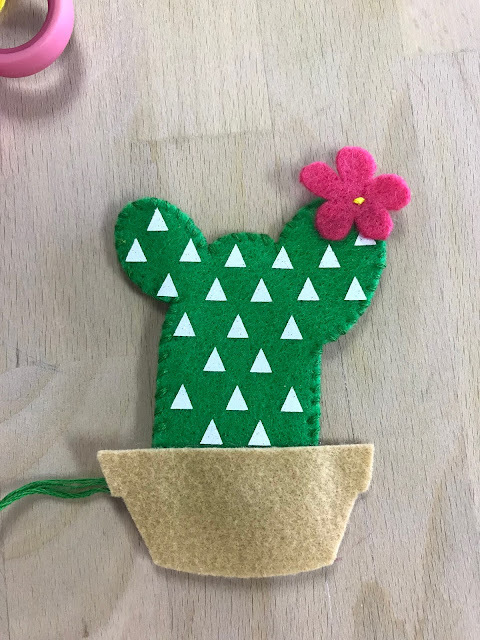 Then, using a basic whip stitch, sew the two cacti together, leaving the bottom open. If you'd like to give your cactus a little more dimension, add some stuffing before adding the pot. 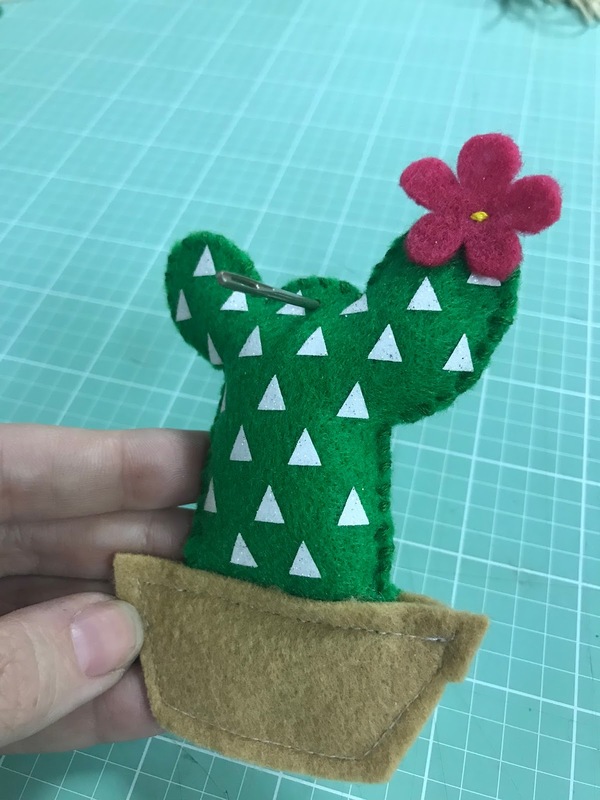 Then take it over to your sewing machine and sew around the outside of the pot, being sure that it is also catching the cactus. 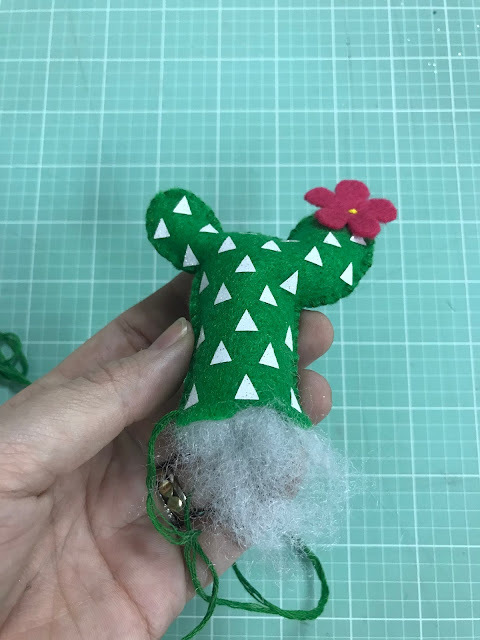 With a large embroidery needle, add a hole to the top of your cactus. It may be hard to see, but that hole should be large enough for you to add your keychain ring using a pair of pliers. And there you have it! Your completed felt cactus keychain! Cricut Challenge accepted and completed! 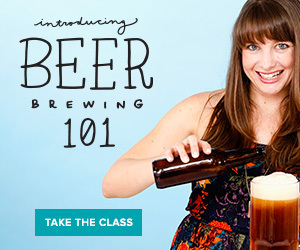 I had so much fun with this project and can't wait until next month. Speaking of, the material for February will be cereal boxes and will be comin' atchya on February 21st, so stay tuned for that! 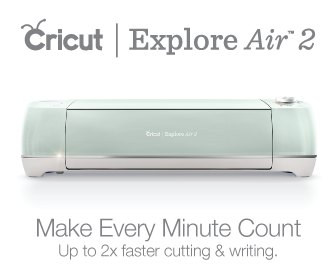 Be sure to check out all the other fun projects made in the Create with Cricut Challenge!